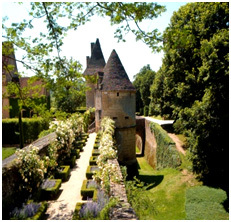 Surrounded by the ramparts, towers and moat of the Medieval fortress, the Renaissance Hall overlooks the Vézère from a majestic terrace. 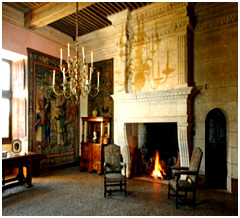 Inside,the fine decor and collection of tapestries paintings and furnishing XVIth and XVIIth) recall the period of the last Valois and first Bourbons kings. 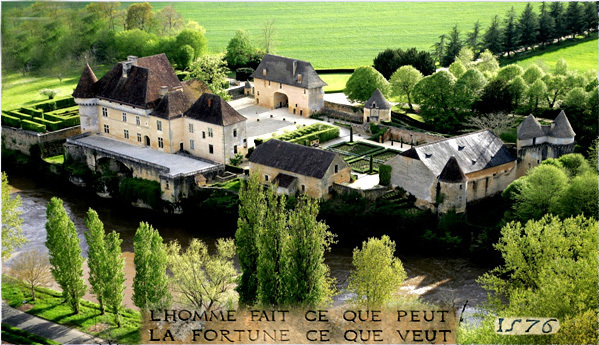 Beautiful cottage on the grounds by the river (sleep 8) with all modern conforts ( week rental).